Americans are getting increasingly more serious about upping the ante on their fitness. However, because we’re busier than ever, we have to get creative about cramming our workouts into our days. According to a study from The Nielsen Company, 84% of all gym-goers admit to running errands within two hours of working out. Unfortunately, we tend to forget that smells follow us around, making friends and strangers we run into along the way potential victims to these smells. For the millions of busy folks who don’t have time to immediately change and wash their gear after each workout, it’s time to #FebrezeYourGear! Febreze Fabric Refresher has taught me that if it’s fabric, refresh it! 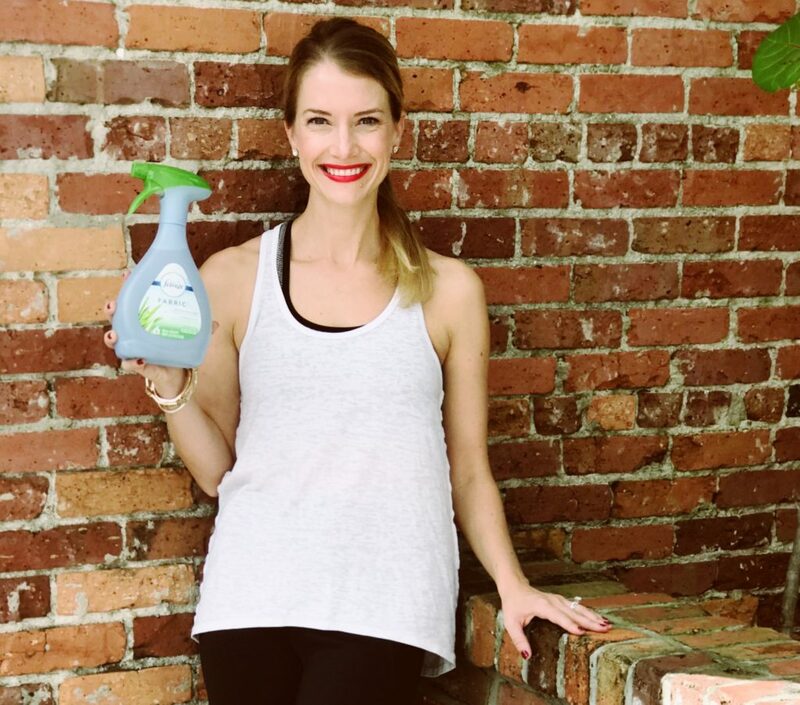 Post-workout, simply spray Febreze Fabric Refresher on your gym clothing, sneakers, and other workout clothing until it’s completely damp. This effectively cleans away odors and ensures that gym smells stay where they belong- at the gym! Febreze Fabric Refresher with OdorClear Technology cleans away questionable smells in two simple ways: 1. seeks out tough odors, and 2. cleans them away by deactivating and replacing them with a light, fresh scent. I like to spray the Fabric Refresher in my tennis shoes before I put them back in my car after a workout. That way, the inside of my vehicle doesn’t smell like a locker room. As part of the #FebrezeYourGear campaign, Febreze just released its new Activity Index. Want to know the nation’s top 20 metropolitan areas with the highest physical activity? Some of them include San Francisco, Minneapolis, Seattle, Denver, Los Angeles, and New York. But, no matter where you are, Febreze has you covered to clean away post-workout odors. After all, there’s nothing worse than having your kids tell you that you smell “icky” after you’ve made a trip to the gym. Cheers to keeping smells at bay and feeling fresh all day! Runnnnnnnnnnnnnnnnning to the store to get this. I can keep it in my gym locker at Camp. I keep a bottle of this in my car. Also works wonders on laundry. Can I get this at Walmart or Target? I need this. My husband smells like a@@ after the gym.